This past summer I was cleaning out my closet and came across this slip dress from Cynthia Vincent, which I also own in black. Thinking that the slip dress was long outdated, I was about to throw it into my donate pile when I froze. For some reason I just couldn't get myself to part with it, and instead I threw it into my pajama drawer thinking it would be perfect to sleep in (which hasn't happened). Fast forward to the present and realizing that slip dresses are once again fashionable, I couldn't be happier that I kept mine. 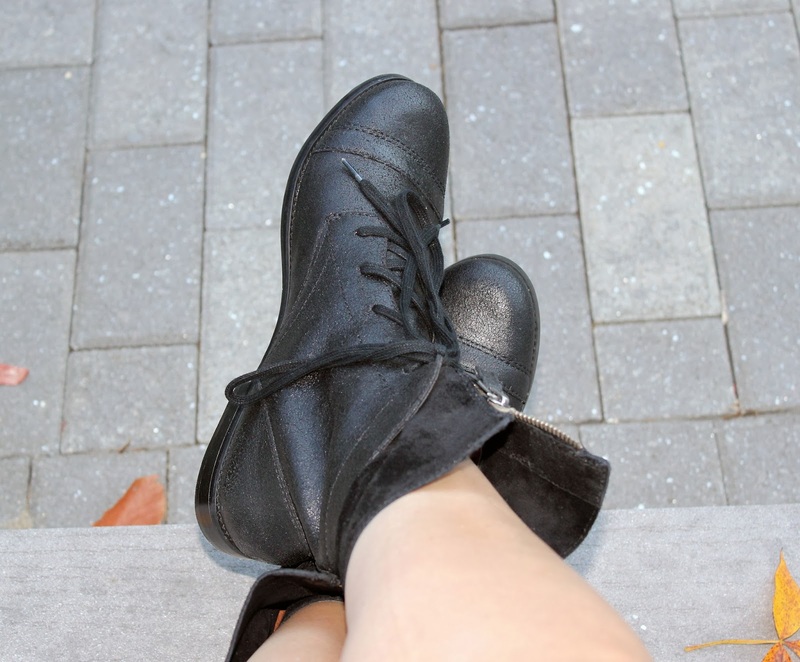 They are great paired with boots and leather jackets giving you that 90's grunge feel. I know I recently said that I am not a huge fan of the grunge look (here), but I thought I would give it a try and show you how I make it fit into my own style. I added a cashmere cardigan to my dress instead of a leather jacket giving it a softer feel. 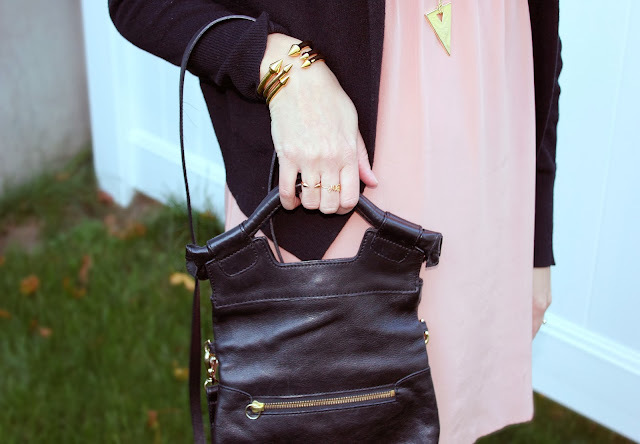 I finished the look with gold jewelry and black leather bag and boots to add that slight tough girl edge. 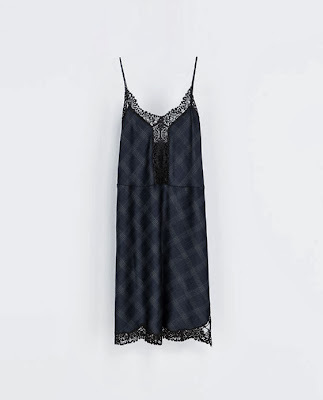 If you're looking for a good slip dress, I recommend Zara, as they have a few on my wish list. This one below will probably be my next purchase.